A study reported in smeweb.com shows that around 56 percent of small-and-medium-sized companies would cease trading if they lost one or more key people suddenly to illness or due to them walking out in a dispute without notice. And also, 79 percent admit that the profitability or the survival of the business would be seriously impacted by a sudden loss of an employee, for whatever reason. This kind of problem is unique to small businesses where you can often find that one employee holds a large amount of responsibility and knowledge, making him or her a critical point of failure. This is why I believe that small businesses should make quite specific HR preparations to help them more effectively cope with the loss of a critical employee, and I have set these out below. 1. Assess risk. 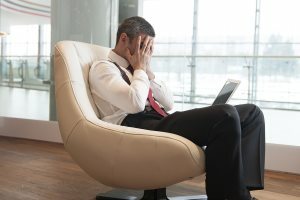 Identify your critical points of failure, that is, employees who possess unique skills and knowledge in your business, and assess how long it might take to replace them and what impact this would have on your business. Are any of these risks unacceptable? If so, you must take some action. 2. Address critical points of failure. If you have a key specialist role that is core to your business and which will take significant time to replace, consider having a job-share of two part-timers rather than one full-time employee. If one person goes off sick or leaves, you will at least have some backup until a replacement can be found, which can soften the blow. 3. Insist on detailed job descriptions. Small dynamic companies can find job descriptions tedious, but they are essential in a crisis scenario where an employee leaves abruptly. Have a session, at least once a year (maybe every six months) where the team sits down and documents all their tasks and duties. 4. Documentation. You don’t just need to know what people do, but you may need to know the methods they use to do it, or else you’ll need to reinvent the wheel when they are gone. So, make sure to engender discipline in documentation of key processes and procedures (many of which are taken for granted) with the objective being that someone else could follow these instructions if necessary. Test the documentation out from time to time on other employees just to see how good the documentation is. You could also consider hiring a documentation ‘guru’ or assigning someone with specific documentation duties. 5. Cross training. This is another crucial element of mitigating the loss of key personnel. Have a policy of cross training so that as many people as possible know how to complete key tasks. Consider rotating responsibilities with a job or task rotation policy to broaden skill sets. I accept that many companies don’t set out to create critical points of failure in their business; it often happens by accident through simple inertia in that its convenient to keep loading responsibility on to the most capable and trustworthy individual. And this is why employers need to resist these natural urges and instill discipline to ensure that teams are built where key knowledge, skills and processes are distributed across more than one person and are documented and replicable, making them the property of the business and not the property of one individual employee who can simply up and leave the business in ruin.